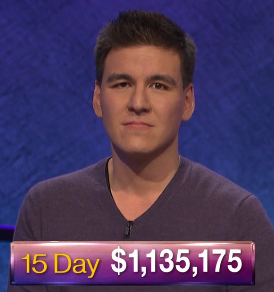 Andy Saunders discusses recent Jeopardy! episodes with Lisa Mueller and Regis Michelena! Today’s Final Jeopardy answer (in the category The U.S. Government) and game statistics for the Monday, March 19, 2018 game between Regis Michelena, Lisa Mueller, and 1-day champion Rahul Gupta.